Gavilan Vineyards ARE COMPRISED OF 85 HECTARES (210 ACRES) OF LAND, 42 HECTARES (105 ACRES) OF WHICH ARE PLANTED WITH ESTABLISHED VINES WHICH WERE PLANTED IN 1972/3. 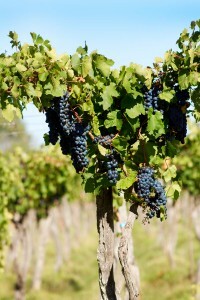 THE PROPERTY IS LOCATED IN SAN RAFAEL, IN THE MENDOZA PROVINCE OF ARGENTINA. AT 790 METERS (2,600 FEET) ABOVE SEA LEVEL, GAVILAN VINEYARDS BENEFITS FROM BEING ONE OF THE HIGHEST ALTITUDE VINEYARDS IN THE REGION. Gavilan Vineyards are situated in the foothills of the Andes Mountains at the heart of the fifth largest wine producing area in the world, the province of Mendoza, Argentina. We are offering you the very realistic opportunity to turn your dream in to a reality by becoming an owner of one of our 14 exclusive Gavilan Wine Estates. Not only do the mountains provide a spectacular view, but they are also a contributing factor to the climate in the region. You will enjoy dry summer days, with temperatures averaging 35ºC /95ºF and cooler nights of around 15ºC/59ºF. Mix in 320 days of sunshine each year plus mineral-rich sandy soil and you have the perfect conditions for growing grapes that achieve the highest possible sugar levels, an essential characteristic for producing the best quality wine. Until recently, most of the wine production in Argentina has been for domestic consumption but times are changing. Now, wine from Argentina is being recognized as being among the best in the world and the demand from the export market is increasing dramatically. The location of Gavilan is very popular with tourists both from within Argentina and from overseas. So, if you want to construct a villa but do not want to live there full time, there is the option to offer it as a vacation rental. This region has two tourist seasons. In the summer vacationers flock to the area to enjoy the stunning natural beauty of Valle Grande which offers outdoor activities such as white water rafting, canoeing, fishing, hiking, horseback trail rides, rock climbing, rappelling, zip-lining and of course, camping. In the winter the winter sport enthusiasts arrive in droves to enjoy world class slopes at Las Leñas.